Pristine audio, wireless connectivity. 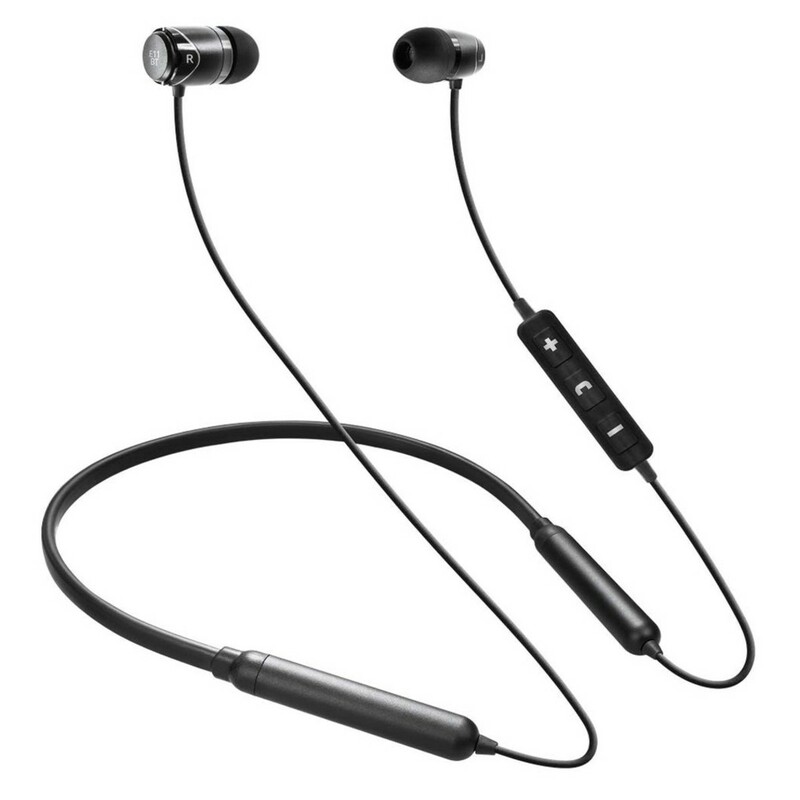 The SoundMAGIC E11BT Bluetooth Headphones, Black are a pair of premium-grade, in-ear headphones with integrated Bluetooth 5.0 connectivity. The E11BT builds on the E11's design, providing you with the latest Bluetooth technology for high-end audio fidelity, speed and performance. The 10mm Neodymium drivers deliver exceptional sound reproduction, resulting in powerful and rich audio. The result is sparkling highs with a defined and impactful low-end response. The ergonomic design features a built-in 3-button remote control that is compatible with both Android and Apple products. It also features a flexible neckband, making it suitable for a range of users. The thing that sets the E11BTs apart from their young sibling the E11BTs; is the integrated Bluetooth connectivity. SoundMAGIC have used the latest version (v4.1) of the Bluetooth technology to provide up to 24-bit high-resolution audio performance. This allows you to stream your music, without constraints of cables, giving you the freedom to move around the room while streaming from a Bluetooth-compatible device. The headphones also include a 3-button smart remote designed for switching between tracks, toggling volume, accepting calls and more. The integrated microphone also means you can take calls without having to remove your headphones for added convenience. The headphones come complete with a USB cable for charging and boasts a battery life of up to 60 hours, whilst in continuous playback. Utilising 10mm Neodymium dynamic drivers, the SoundMAGIC E11 delivers exceptional sound quality. The specialised drivers provide high-end stereo imaging with extended transparent detail. The resulting sound is rich and full-bodied, with sparkling highs and powerful and defined low-end. The balanced sound imaging combined with the transparent sound allows you to hear your in another light. It captures every nuance of your music, resulting in transparent audio and warm, textured bass. 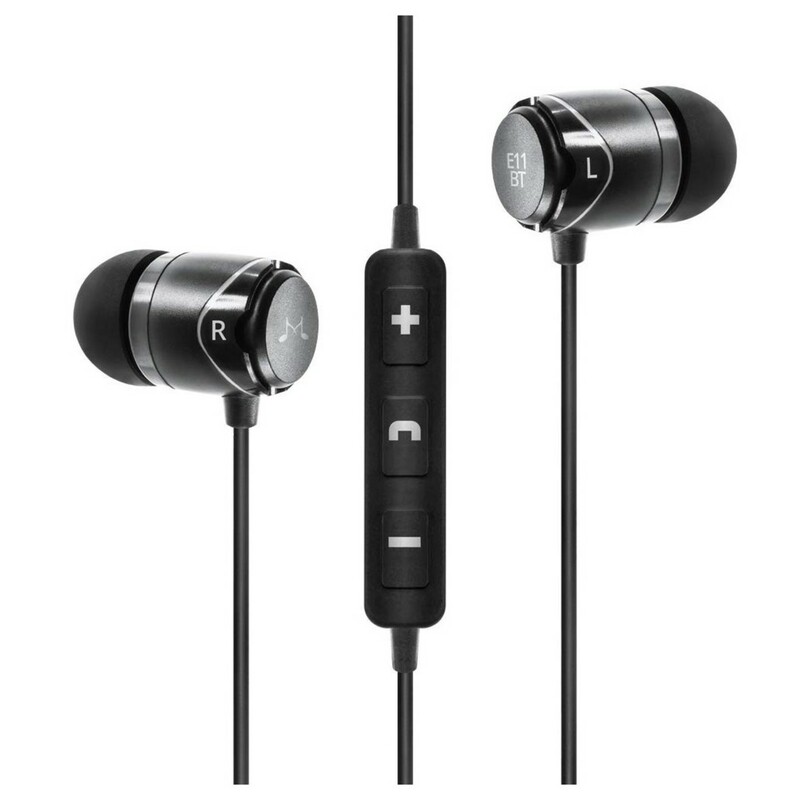 The earphones are designed to provide superior comfort for the listener. The in-ear design helps to isolate the sound, minimising audio bleed and outside noise for a more focused listening experience. The housing of the earphones is crafted from highly durable aluminium. It uses a high-precision cutting process with a hand-painted finish for a cutting-edge and sleek look. The lightweight yet robust housing can easily withstand the rigors of day to day use. The angle sound tubes provide an in-ear seal with your ear canal for optimal comfort. The earphones also come complete with three sizes of silicone eartips. This provides you with the perfect size for your ear. Also included is a storage pouch for storing and transporting your earphones.